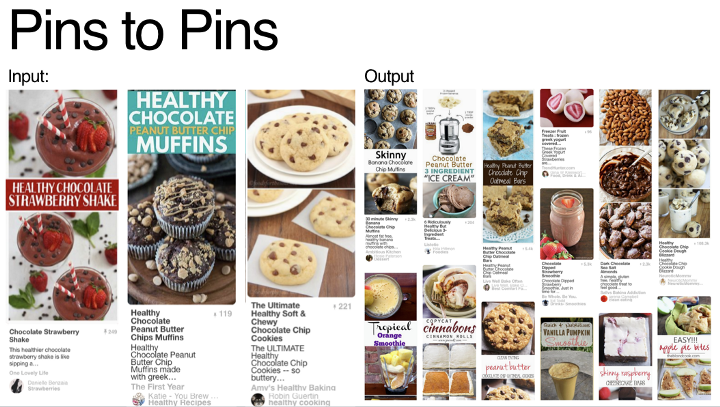 While the visual discovery app may not be as big or as cool, or be growing as quickly as others, Pinterest is definitely evolving, and expanding over time. Indeed, while Pinterest only just crossed the 250 million monthly users milestone back in September, it’s recommendation tools are advancing, which the platform has outlined in a new research post, which looks at how its ‘Pixie’ recommendation process now operates. That’s a significant point of note, particular for brand usage – Pinterest’s system is getting increasingly good at uncovering relevant, related content, even if that content isn’t, by other measures, popular, which could help level the playing field in discovery. The advanced process once again highlights Pinterest’s capacity to hit above its weight in discovery, with it’s smaller engineering team able to create products that are competitive with the much larger players, similar to the visual recognition engine it uses for its Lens option. That’s important to note for businesses – and also worth noting, Pinterest now serves more than 10 billion recommendations every day. That’s a lot of opportunity to reach your target audience.